Don’t miss seeing all the beautiful wonders of Peru by simply flying straight from Lima to Cusco! 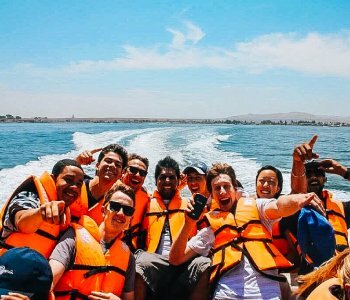 Taking Peru Hop gives you the opportunity to visit the only desert oasis in ALL of South America, the Colca Canyon (deeper than the grand canyon) and visit the FLOATING islands of UROS on the highest Lake in the world, Lake Titicaca! What are you waiting for!? 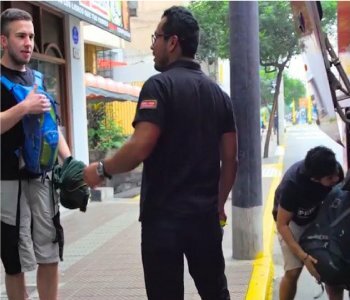 Try googling “10-day tour of Peru”, and you will find that the only other tours available have fixed itineraries, costing roughly $1,500 – $4,500 USD. Also, these tours generally don’t even include everything. Even if budget backpacking was your plan, we still work-out much cheaper than other options! 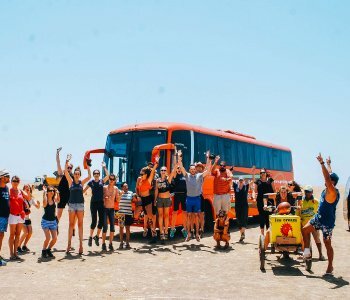 Try adding the price of transport to each destination, the activities in each hidden Peruvian destination, and the full cost accommodation (which we have discounts for) that we include and other companies don’t! Our guides are fun, enthusiastic people who love sharing as much as they can about their country and are always ready to help you out with whatever you need. Advice, assistance and excellent inside information about EVERY destination. Get to know more about Peru through the knowledge of our amazing local bilingual guides. Not only do our guides give you the load down on everything Peru, but our goal is to completely immerse you in this magnificently fascinating culture. Try some actual local food at one of our lunch stops along the way. Enjoy the flavour of the national Peruvian drink ‘Pisco’ at our exclusive vineyard tour (miles from the boring route of a direct bus). Walk in the footsteps of slaves once trafficked through underground tunnels and surround yourself with the history of this captivating country. We pride ourselves on having passengers from every corner of the world. No matter your nationality or age, if you’re solo or with a group, family or couple, all are welcome in the Hopster family! We welcome people of all kinds with a passion for travel, who are eager to get involved and make this an experience you’ll never forget! We know nobody is big fan of bus travel as it is, but we do our best to make sure you’re entertained for the journey anyway! Sit back and enjoy a good classic film in English and don’t run out of battery on your phone or any other device with our USB ports found at every seat on the bus! 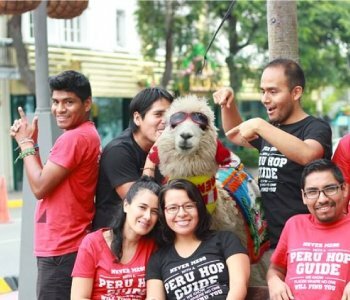 Peru Hop was set up by European backpackers and is Peruvian operated. It’s the perfect combination of passionate people sharing their country paired with European levels of safety & service. Our bilingual guides also make the journey much easier for anyone struggling with Spanish and have fun sharing their language with anyone eager to pick up a few Spanish words while here in Peru! Avoid getting up ridiculously early, paying for a taxi to bring you to a risky public bus station or getting off at a bus station and trying to get a taxi to your hostel. We pick you up and drop you off right at the door in every location. 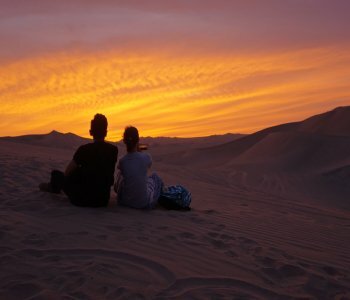 Did you know: There is no other bus that goes directly to Huacachina, all other buses only go as far as the closest town, Ica. This would mean paying for a taxi to a bus station in a whole other town. Escape From Lima pick you up and drop you off at every destination. Want to hear it from someone else? 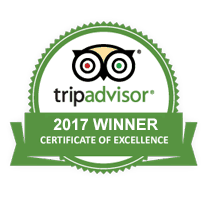 Check out our hundreds of positive TripAdvisor and Facebook reviews and decide for yourself if you want to travel with us or not! 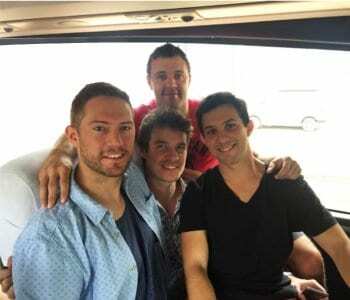 You can also find many different famous international bloggers who have written about us to aid you with your decision travelling with us! STILL NOT CONVINCED? 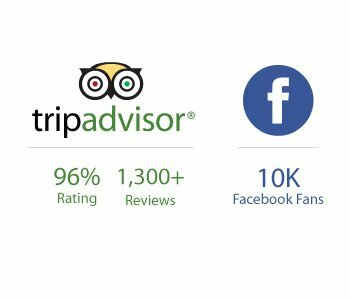 CHECK OUT OUR SOCIAL MEDIA AND TRIPADVISOR, EVERYONE AGREES, WE’RE SIMPLY THE BEST WAY TO DISCOVER THE REAL PERU! 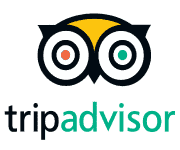 For us, TripAdvisor is the best way to see what our passengers think and helps us improve the Peru Hop experience. Take a look at the reviews to see what some of our passengers had to say. If you’re more interested in seeing what we get up to on a day-to-day basis, follow our social media! 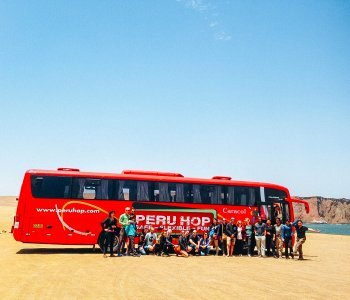 We regularly upload passenger pictures to Instagram and share fun and interesting articles about Peru and Peru Hop to our Facebook and Twitter! 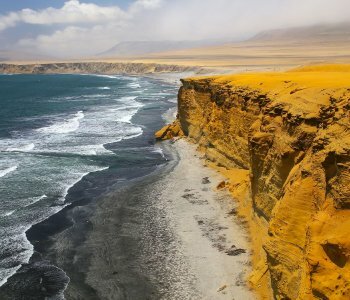 Previous passengers have admitted they would never have considered going to destinations such as Paracas or even heard about the likes of Nazca before Peru Hop. 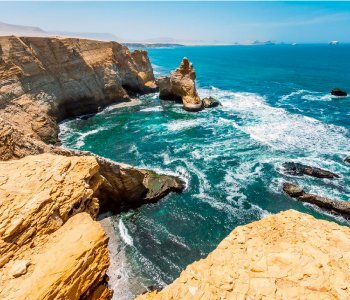 We pride ourselves on providing a new unique way of travelling Peru, showing you all the amazing things you would have skipped before!